—Studying with scholarship students is a great asset. They contribute with extremely good insight in class and when doing fieldwork, and they always know something the other students cannot read in their books. But the best part is how they contribute culturally and socially, and you really get to connect with the social surroundings and society through them, says previous student Mia Strand. Norwegian Mia and Nepalese Ritika studied Peace and Conflict Studies together in India this spring. Through joint studies and discussions they both found new and different outlooks. Ritika Singh was one of the regional scholarship students that participated in Peace and Conflict Studies. Having finished this semester she will take a Master’s Degree in Peace and Conflict Studies in Nepal and is aiming to work with human rights issues. For her the geographical location was part of what attracted her to the Kulturstudier course. -The unique situation within and in relation to “the largest democracy of the world”, such as the issue of the Naxalites-Maoists as well as India´s relation with other South Asian countries makes it a really ironic area for Peace and Conflict Studies. It was also exciting to be away from home and yet not so far away, says Ritika. In addition to Ritika, scholarship students from India and Sri Lanka participated in the course together with students from Switzerland and Scandinavia. - Studying with scholarship students is a great asset. They contribute with extremely good insight in class and when doing fieldwork, and they always know something the other students cannot read in their books. But the best part is how they contribute culturally and socially, and you really get to connect with the social surroundings and society through them, says Mia Strand. 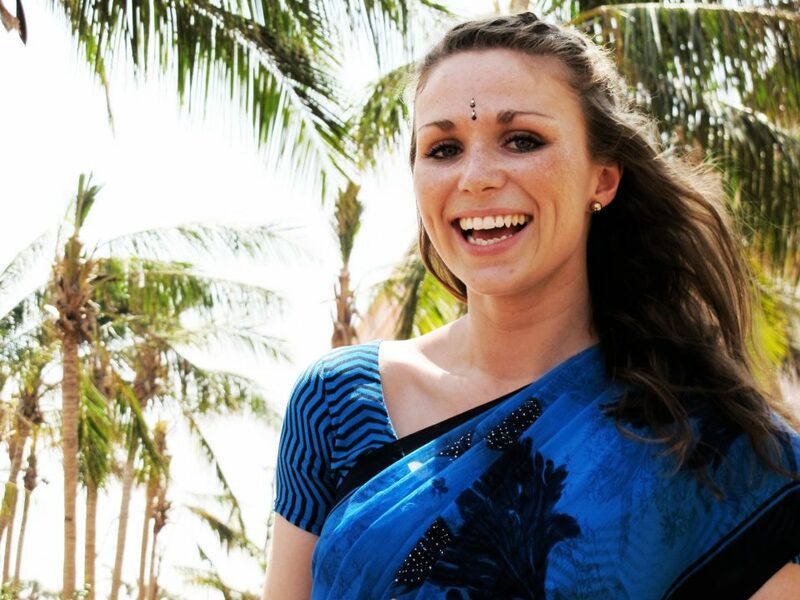 Before starting this semester she followed Kulturstudier´s Global Environmental Management course in Ghana. Before Ritika traveled to India she worked on a radio show focusing on HIV/AIDS-related issues and it was one of her colleagues that told her about the course. With a background of social work studies and experience from youth based NGO work she probably had a lot to contribute to field work and discussions. But she too found the international cooperation very fulfilling. - The best thing of studying with Scandinavian students is, of course, their fresh perspectives on peace and conflict – they see it from the European angle. It is increasingly refreshing to view something via another set of lenses, says Ritika. - I believe this course has been an amazing experience! The lectures were really stimulating, and we read a lot. I was actually a bit overwhelmed by the amount of reading involved as it was completely different from the way we had it in Nepal. But I developed quite a few perspectives on the issue of peace and conflict, Ritika concludes.